But the other day I learned about a fun program designed to help promote local wine: The Passport to Connecticut Farm Wineries Program. Yes, they make wine in Connecticut. The program runs until the end of November so I suppose I have a lot of catching up to do. Well, at the very least I will make a mental note to get my "passport" next year. 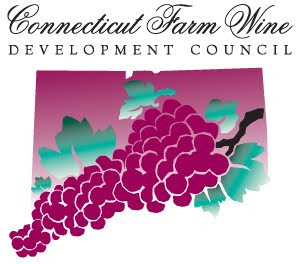 For a complete listing of vineyards and wineries in Connecticut, and for more information about the Passport to Connecticut Farm Wineries Program visit the CT Dept. of Ag. website or click here to download the brochure. Very cool! I just check out your blog. We only have visited McLaughlin Vineyard and Hopkins Vineyard. I'm eager to visit others. Are there any you liked best? McLaughlin will always be my favorite...I like the wine and it's the closest to home. That said, I'm really enjoying Jerram's Mareshal Foch lately. Miranda and Sunset Meadows have excellent wines and they're close to each other.